So, It's Christmas time! and it's time to start thinking about the pro- or amateur photographer in your life. Get them something nice, something memorable and something that they'll take with them on every shoot. I've gathered a list of the top 10 photo gear gifts that will likely take your photographer's skills to the next level and possibly even make them some money. While gathering this list I have to admit that none of these gifts are in my photo closet. I'm not being paid by anyone to push their product... but that's the point. These products aren't in my closet and i suspect they may be in very few closets. But, they're all items that I think are cool enough to throw on a wish list... and I suspect that I'm not alone. 1. The The Lens Cap Strap Holder at the Photojojo Store! 2. Buy the Camera Table Dolly at the Photojojo Store! 3. Buy the The Pocket Pod at the Photojojo Store! next on the list is an interesting way to stabilize your camera if you are shooting video or pictures. Most cameras come with sophisticated software and hardware that will reduce blur in pictures and stabilize camera shake. But, if you are planning to play that video back on a screen larger than the size of an iPhone you may come down with home-video-sickness. That's when you have to close your eyes or look away to keep watching a video without feeling sick. This is one of those products that I'm not 100% sure I'd use all the time. But if I'm on vacation with the whole family and have to worry about making sure kids don't get lost, wallets don't get stolen.. i don't want to be lugging around a tripod. It's retractable, can fit right into your pocket, purse or backpack. It basically works by creating points of contact to stabilize the camera. If you find the this in your stocking this Christmas-- someone really loves you. It'll put you back about $300 or the price of a iPhone or a cheaper camera... for that price you get a cinema quality steady-cam that can fit in your backpack. This is another Kickstar.com project. So, you'd be supporting an American company and an entrepreneur. Take a look at the video.. it speaks for itself. i just think it's a cool design. It's probably more for the videographer than the Photographer. But with so many DSLR's now able to shoot high quality video.. a lot of photographers may want to have this in a cabinet somewhere ready to roll. My last gift suggestion to keep your camera steady is a tripod. I'm not going to recommend a Manfroto tripod-- but what some are calling the next best thing-- the Dolica's 62" Aluminum Proline Tripod. I found this one on Amazon.com for less than $40. Manfroto is going to put you back at least $100. 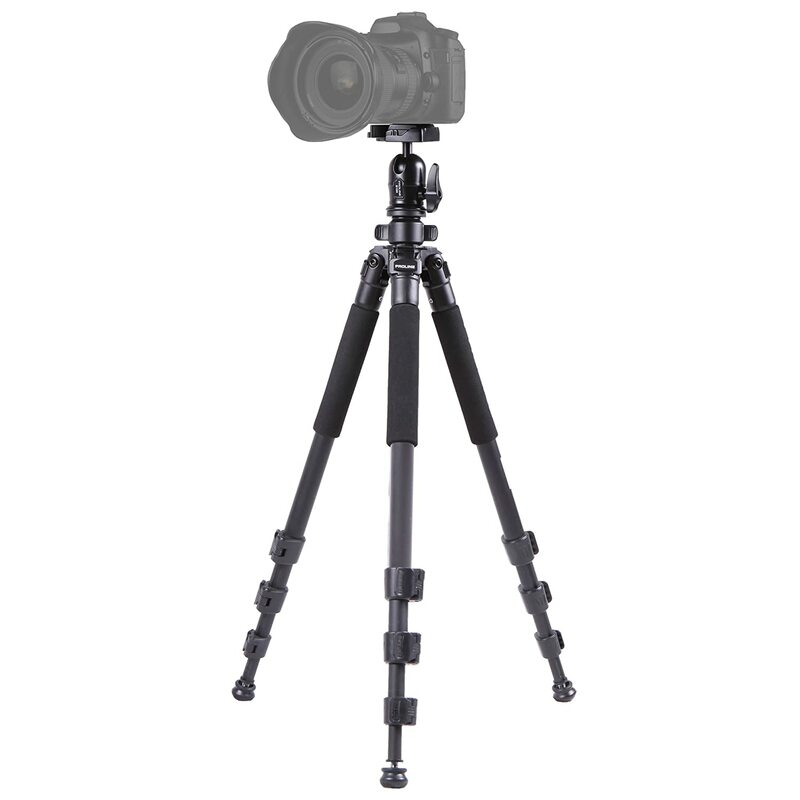 This isn't your normal consumer Tripod, but it is sold at a consumer friendly price. Most consumer tripods come with all those extra rods that connect the legs in the center. Without them.. you are allowed to configure your tripod in a great number of new ways... lower and more stable that those cheap tripods. I'm not sure if your Photographer is into Macro photography or not (who isn't right?) But these macro extension tubes are cool for one reason: their affordable. 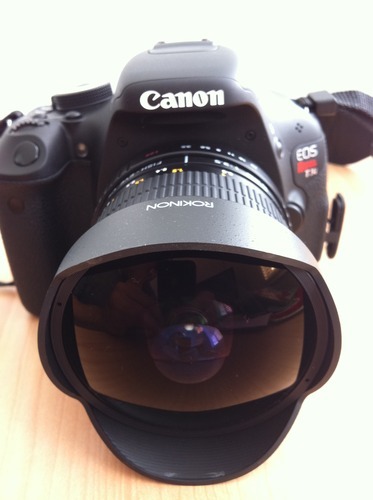 They'll turn any one of your current lenses into a macro lens. It don't contain any glass.. so you won't lose any picture quality.. but it works kind of like a magnifying glass. If you put the magnifier close to your eye... what you're trying to see doesn't really look too much bigger.. but the further you get it away from your eye-- the bigger that object will appear.. 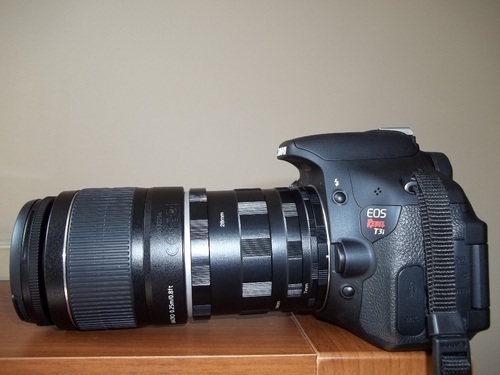 It comes with adapters to fit on nearly all of Canon's cameras. If your photographer friend is going to be a Macro Photographer-- they're going to need some Macro Lighting. CowboyStudio LED Macro Ring Flash does the job. The ring flash gives you a nice even light on your subject-- no shadows. And if you're taking a portrait... you'll get a perfect circle in the eyes of your subject as well. I could have recommended a speedlight flash, but most photographers will already have a flash that works for the job their doing. The newer one come with that nice wireless technology already built in. Another bonus idea would be a remote flash trigger. Just about everyone has an iPhone these days. And if you're photo-geek has an apple in their pocket, .. .the wood camera Case might just be the perfect gift. There is a saying out there -- something like "The best camera is the one you have with you." My family accuses me of always putting a camera in their face.. now I can prove them right. Seriously though, I think it's cool. One thing i noticed about the design. The iPhone now allows you to take a picture with the volume up button. If someone is looking at you take a picture with this case-- it'll look like you're holding the camera upside down. This is a cool way to one-up all those people with Nintendo controls, tapes and other retro-looking cases. This case uses real wood... engraved with lasers and made from Walnut wood which is a fast growing wood that is not in danger. And the last gift that I can recommend is pretty easy. A 32 Gigabyte Memory Card. Having enough memory for a shoot is essential. I've been working with 8 gigabyte cards that can fit between 150 and 200 RAW format pictures.That's not a lot of pictures if you're planning to take pictures at a wedding, or concert or other event. The perfect stocking stuffer. 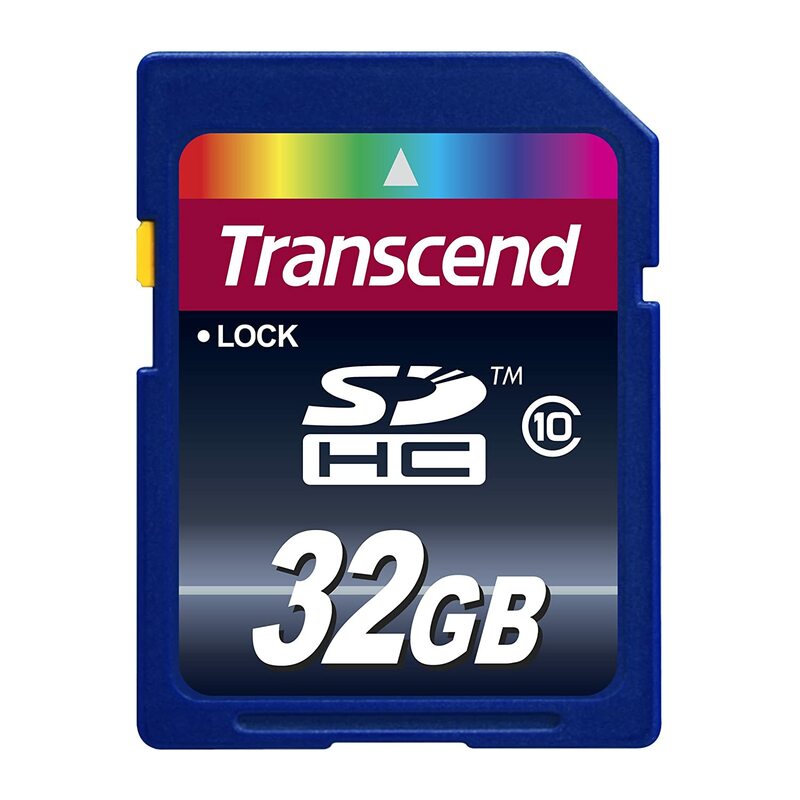 One thing to think about when picking a memory card is speed. It really pays off to buy a memory card that isn't going to slow down your camera's burst speed. It only takes a second of delay to miss that perfect shot.